Thanks to the initiatives of the iwi authority for Ngāti Kauwhata in the Feilding/Manawatū area, the plight of the whio came to our attention at Hāpaitia Kōhanga Reo in 2012 . Our kōhanga reo operates with a Kauwhata-Raukawa Māori world view. 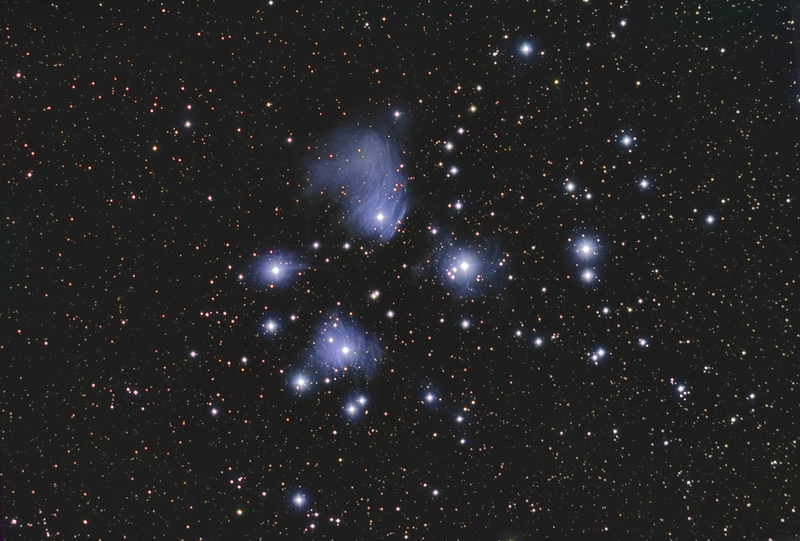 It’s common to hear our children talking about their experiences at their marae, singing about the appearance of Matariki (Pleiades) in the winter sky, and our kinship ties to the Kīngitanga. Knowing that the endangered whio duck inhabits our Oroua river meant the ‘Save the Whio’ was a project that we just had to be involved in. Over 90% of our whānau have whakapapa or genealogical connections to Ngāti Kauwhata and Ngāti Raukawa ki te tonga. 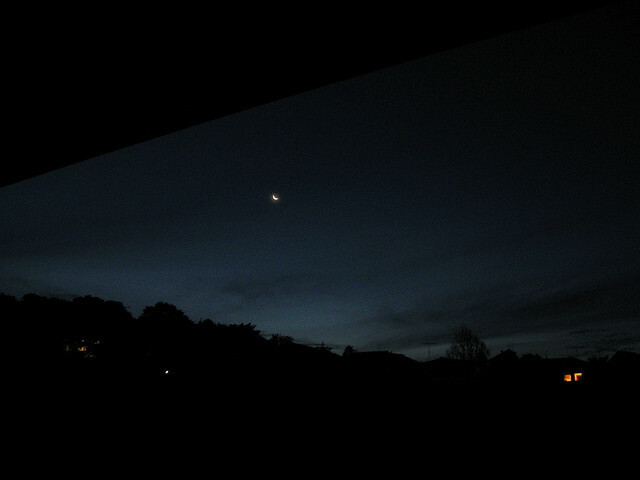 Our children and whānau have strong, spiritual connections to the whenua (land) and the awa (river) of this urban and rural community. We honour and nurture these connections in many ways. Our children, like many young children love to sing. 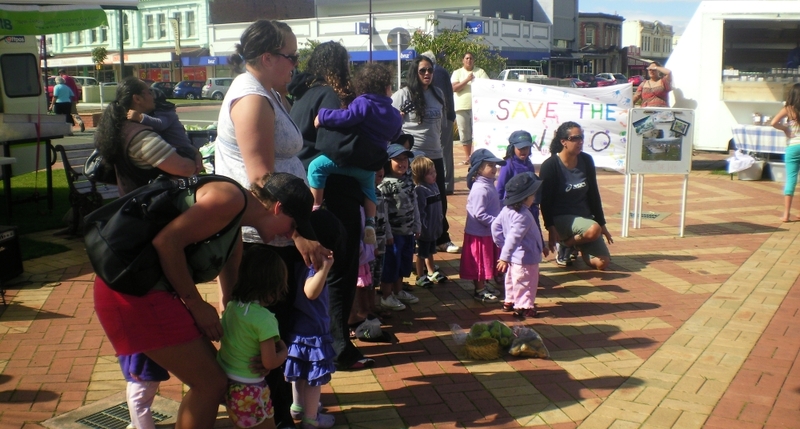 In 2012 during Whio Awareness Month, the organisers of the Feilding Farmers’ Market kindly allowed our children to perform kapahaka to raise funds to help save the whio on the Oroua river. Our children raised nearly $100 from their 8 minute performance. Our parents got involved by helping our children make placards and information sheets about the whio for the public, by taking front row seats to proudly watch their children, and by donating to the cause. We decided that we will be involved in helping the whio on the Oroua river every year! 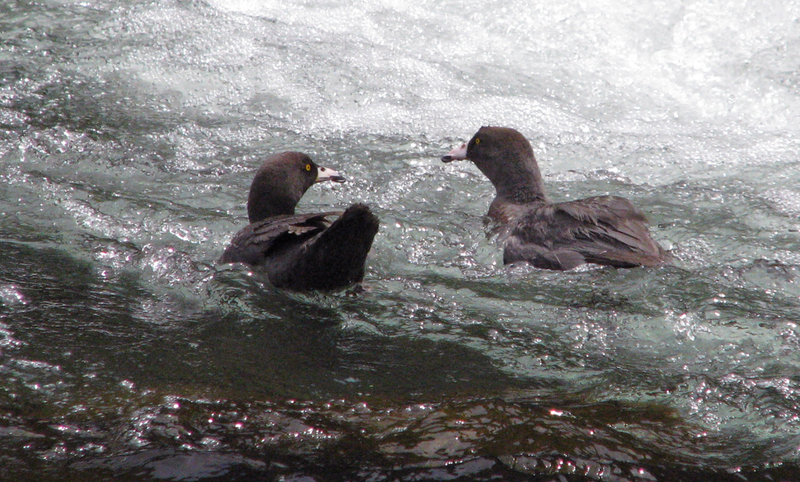 Whio Awareness Month came around again in March 2013. 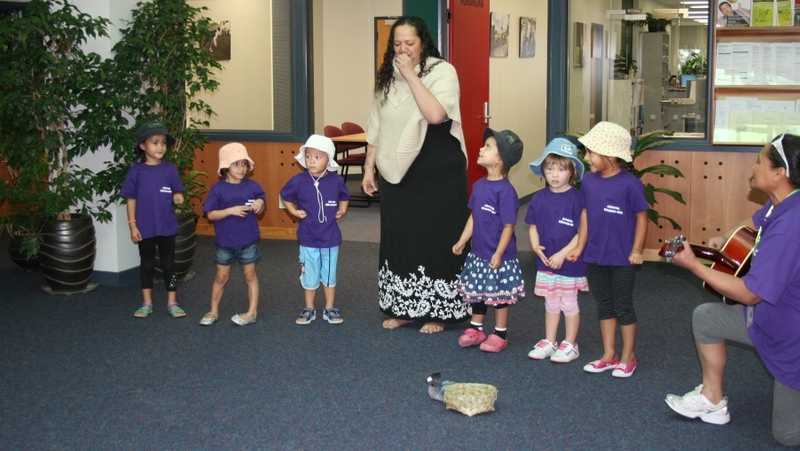 This time our tamariki helped bake blueberry muffins, and we offered a muffin and a waiata to organisations in Feilding as another fundraising activity for the whio. 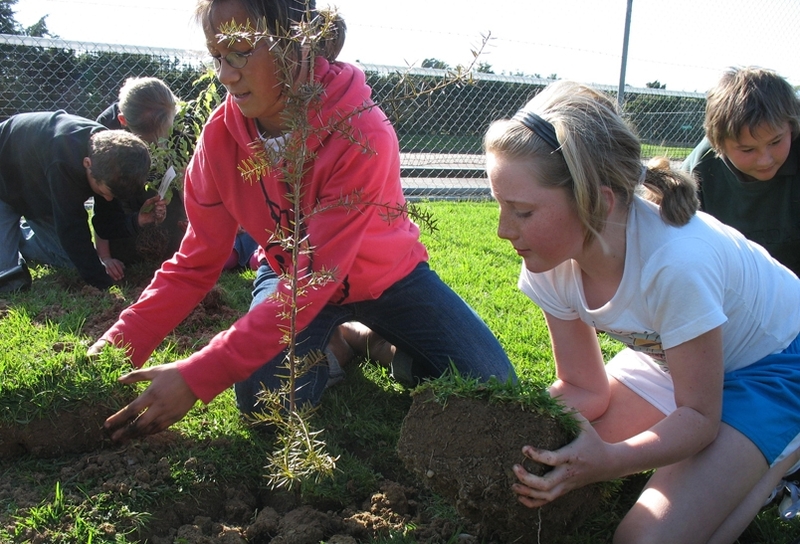 Many thanks go to the Manchester House Social Services, the Manawatū District Council, Te Runanga o Raukawa – Feilding and North Street School for hosting our children for this event. These organisations collectively donated over $200 to assist the whio. To acknowledge our support, the Department of Conservation kindly gave our children a stuffed toy whio. We have named her Pio the Whio. If a child is having an emotional moment, they take solace in the mutual comfort of Pio the Whio. The children understand that we all are responsible to tiaki or look after the whio in the wild. In the future we hope to make a trip to see the whio in its natural habitat on the Oroua river – about a one hour hike away – and there’s no guarantee that we will actually see it. Until then our children can watch clips of the whio on YouTube, look at photos, and draw their own pictures of the whio that we all hope to see one day soon, alive and well in their own natural habitat.